Q: Philanthropy has always been close to your heart. Whether it’s advocating autism awareness, speaking out about domestic abuse or mentoring youth, your convictions have always been quite varied. How do you select the causes you support? A: It basically just comes down to giving back. Let me give you an example. I’ve always wanted to bring boxing to Jamaica and I came here thinking that I wanted to open up a boxing aspect, but when I got here I realized that there was a soccer federation that wanted me to put up $10,000. I looked at that and I thought, “Wow, if that’s what the youth want to do then let the youth do it.” Ten thousand dollars takes a hundred kids off the circuit in the sense that it gives them something to occupy themselves with. It gives them something to work for; they get trophies and it occupies them for the whole summer. Although it wasn’t boxing, if that’s what they love, I’ll support it. Through my foundation, the League of Champions, we help kids become good citizens, help them with their goals, give them ways of achieving them. Q: Many young Jamaicans view you as a mentor. What conversations have you had with them that stand out in your mind? A: When I talk to kids I ask, “What do you want to be?” and most of them usually say they want to be a football player or some sports athlete. I’m of the age of realizing that sports is not really the first thing that should be on your mind because if you get injured, what’s going to happen to you? So I try to say, “OK, say you can’t be a soccer player because you broke your leg. Then what are you going to be?” Then they have more thoughts about their future. So even just by activating the thought, that’s a positive thing for me. Q: As a father of four, what do you teach your own children about life based on the lessons you’ve learned? A: It’s an ongoing affair. My son, he’s eight years old and he loves to have fun but the latest thing that I’ve taught him is there’s a time to be serious and there’s a time to play, you have to know the difference. We are the teachers, the first teachers for our kids and what we teach them is very important. They’re going to take it in for a lifetime. So our job is never done when it comes to teaching and allowing our kids to learn or putting them in situations where they learn. As you can see, I like the fatherhood aspect of life. It’s an ongoing realization that these kids are more important than me, so I have to make sure that I’m bringing them up in a world that they can survive in. Q: I think readers would be interested to know if one of the world’s greatest boxing legends was ever a victim of bullying. A: Well, let me tell you a story now. When I was going to school, on the way home there were three brothers that didn’t like me. They had no reason not to like me. They didn’t like me because of my colour. One time I was coming home from school and one of them saw me and challenged me to a fight, slapped me, but one thing I could do was run fast so they couldn’t catch me. Every day I kept seeing these guys and one day, because I was taking boxing, I said, you know what, I’m going to fight one. So we put our hands up to fight and I gave him two punches. There was blood in his nose. After that they respected me. It was either “leave me alone or I’ll fight you,” so they left me alone. It taught me a lesson, gave me courage. I realized that boxing helped me in my life and standing up to people is important. Because if you show weakness, people can take advantage of you. Q: You’ve recently received the University of the West Indies’ prestigious Luminary Award. What does this honour mean to you? A: It’s a great achievement, a great honour. I accept all these kinds of things in kind of the same way, I’m very grateful, honoured. It just helps me realize that I’m doing a good job, to keep up the work and give myself a pat on the back. Q: Past award recipients, author Malcolm Gladwell and businessman Michael Lee-Chin, both credited their unique circumstances for a great deal of their success. Do you see an alignment there as well? A: It helped me be who I am today in the sense that life skills are very important. After high school, your education never stops. It’s always there for you to grasp and you should never stop learning. You can never say you know everything. The funny thing is, my mother and Michael Lee-Chin’s mother come from the same part of Jamaica, Port Antonio. And my mother actually knows his. So when he and I are together we have the same type of vibe, to a certain degree, because we’re from the same kind of upbringing — very strong mothers. Q: What was it like to come to Canada at the age of 12 and start a new life here? A: I remember going to my first public school and I was the only black kid there. At recess they had this thing where they took toboggans down the hill, so that was really fun for me. When I left, the whole school came out to say bye to me. I didn’t want to ever leave that school because it was fun and I was actually learning. Q: Take us back to June 8, 2002. One of the biggest fights in boxing history: Lennox Lewis vs. Mike Tyson. Before you defeat Tyson in the eighth round the camera catches an unforgettable level of focus and intensity in your eyes. What was going through your mind at that moment? A: Survival. See, my whole focus was winning. It’s not really about trying to damage; it’s just winning at all costs. Doing what I need to do to make sure that I’m the victor. Q: Your then coach, the late, great Emanuel Steward, played a pivotal role in your boxing career. How did he inspire you to be the best? A: Emanuel always had confidence in me. He said the Mike Tyson fight would be my easiest fight, and in some ways he was actually correct. You could say that he taught me a lot, and it always comes out whether I’m training or watching a fight, he’s always going to be in my heart in that sense, and in my head. Q: Even at your prime, you were constantly questioned and challenged as to whether you were capable of being the best. How did the naysayers impact your ultimate feats? Q: You married Violet Chang in 2005. How did you pop the question? A: It was at a resort in Montego Bay on a full moon. There are these stars that only align every 400 years and it was the 400th year, so I figured, why not do it on this special day? Q: Is there a secret to a strong, healthy marriage? A: Communication, understanding and patience. Q: If you can give a piece of advice to anyone who wants to succeed in any field, whether it’s in boxing or business, what would it be? A: Keep persevering. Things don’t come just like that. You have to work at them. An interesting example, with my boxing, is that I went to the gym every day, every day, but yet I didn’t see my improvement. My improvement came as I fought and was winning each fight and saying, “OK, I’m getting better.” Other people had seen potential in me, but I didn’t see the potential in me. I’m kind of glad that was the case. Q: What does the sweet life mean to you, la dolce vita? A: Happiness with my kids and my family and being able to give back. Learning how to balance. 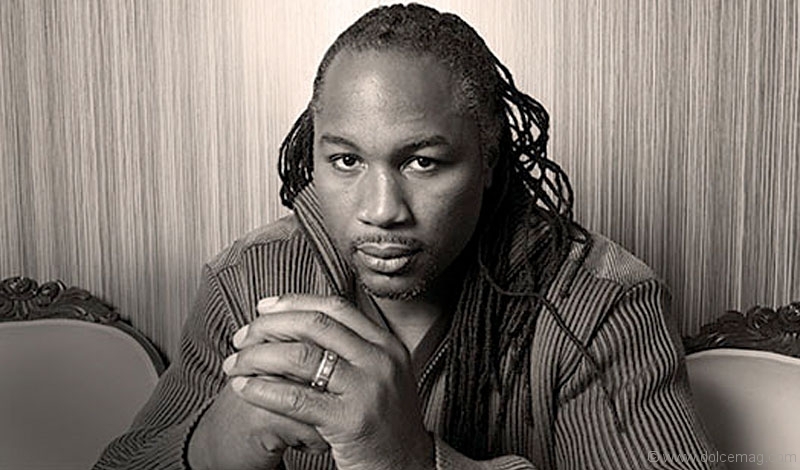 Q: What can the world expect next from Lennox Lewis? A: To still be a part of boxing. At one time you’ve seen me commentating, now I’m thinking about helping young boxers coming up. My passions are just to make sure that the lives of my kids are fun. Making sure that they’re growing in a way that they have everything available to them to help them follow their dreams. Q: It sounds like fun is one of your primary goals in life? A: Yes, of course, a worthwhile life. I don’t want to be remembered for how much money I’ve made, I want to be remembered for what I’ve left behind. Q: What do you think that legacy is? A: Legacy hasn’t stopped yet.